You may think that this photo was taken in July but I actually took it in November. 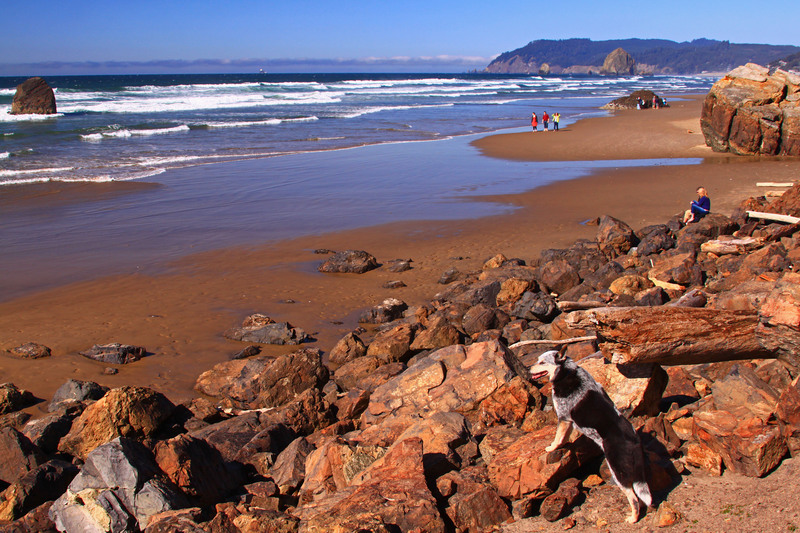 You wouldn’t think that the Oregon coast could produce such awesome weather in November but fortunately we are blessed with some pretty amazing weather during Fall and Winter. However, the storms have rumbled back in and we are looking at about 2 to 3 weeks of rainy and unsettling weather. If you’re able to check the weather forecast on a daily basis you might be lucky enough to find that small window of opportunity and find a sunny day along the coast. 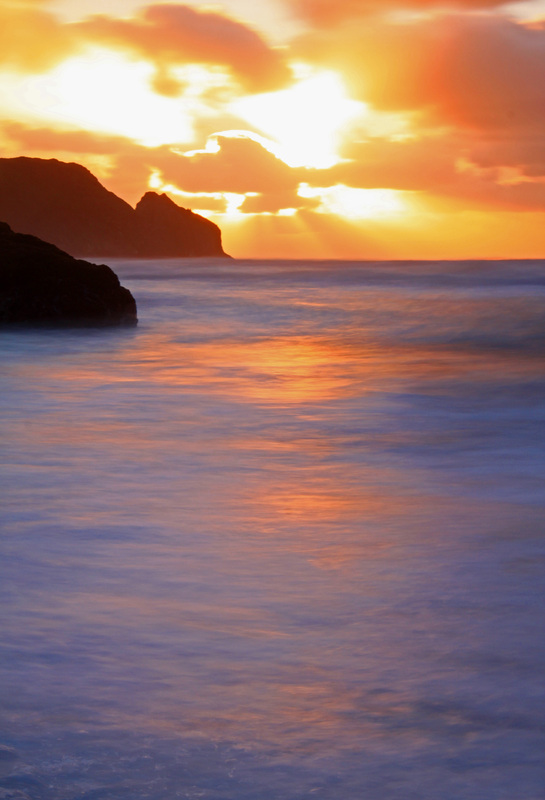 This would be the best time to get an amazing sunset shot as well as have the ability to stroll along the beach like it was summer. 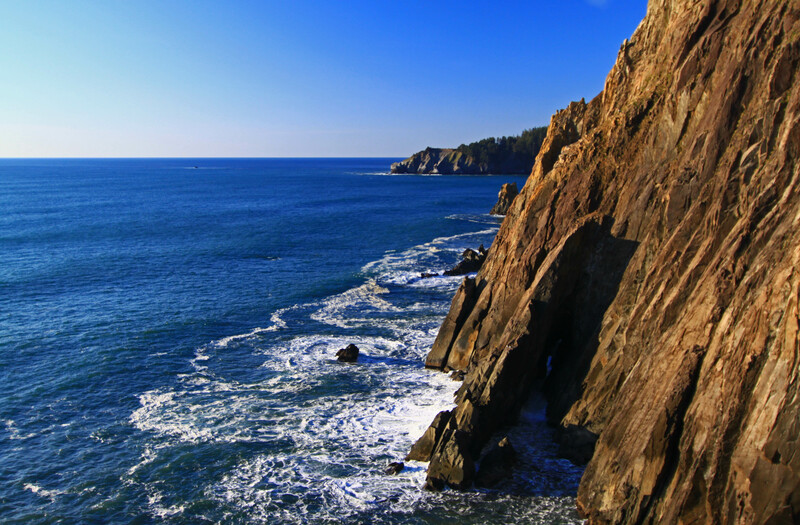 I took this shot while visiting Ecola State Park and I was pleasantly surprised that there was absolutely no wind and no clouds. The temperatures were even descent. However, once the sun started to go down, the temperatures started to drop and the wind picked up. The photo from my previous post is what the sunset looked like. The colder months are much better at producing better sunsets, than at any other time during summer, and I would highly recommend visiting during Fall or Winter since you can also avoid the crowds and get a much better deal on a place to stay. 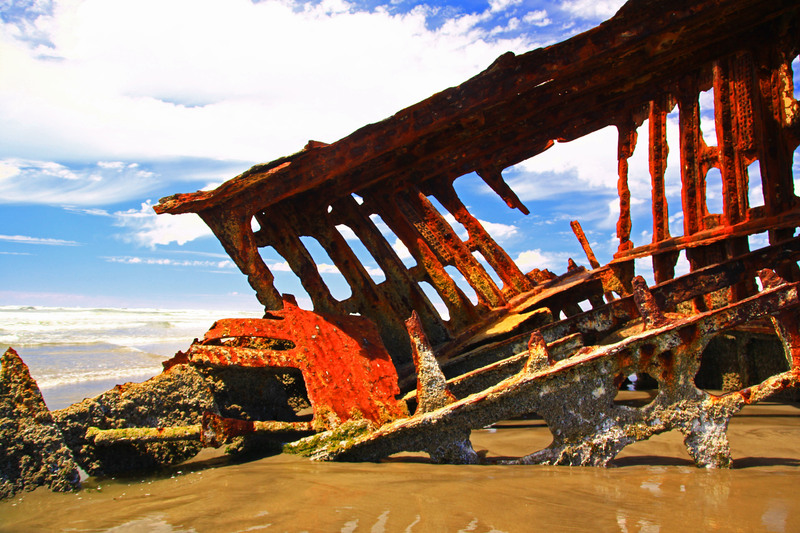 Peter Iredale Shipwreck at Fort Stevens, Oregon! Boaters beware! The mouth of the Columbia River Bar is as beautiful as it is treacherous. The Peter Iredale met it’s match in 1906 and is one of the 2,000 ships that have been eaten by the mouth of the Columbia River since 1792. Sea goers have named this place the Graveyard of the Pacific and there isn’t a single shipping captain or deckhand that would challenge that assumption. People may ask what makes it so treacherous and one only needs to witness the diabolical challenges that it possesses. Unlike other major rivers, the current is focused “like a fire hose” without the benefit of a river delta. 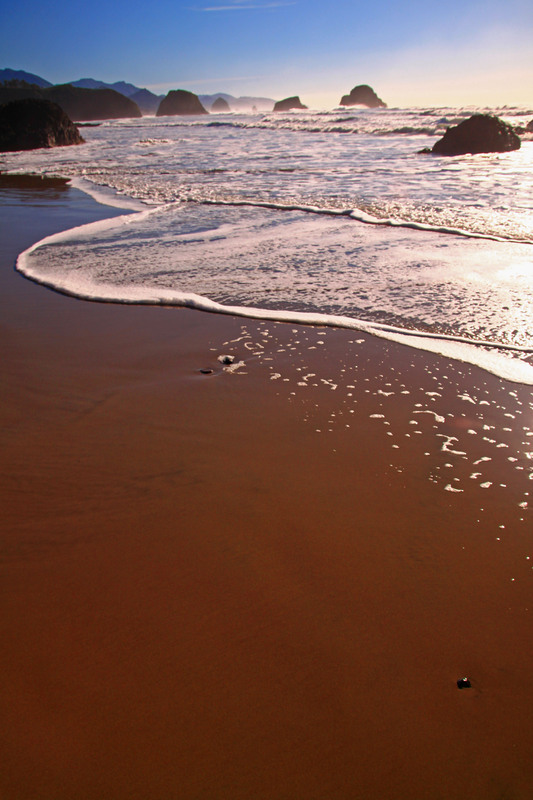 Conditions can change from calm to life-threatening in as little as five minutes due to changes of direction of wind and ocean swell. Since 1792, approximately 2,000 large ships have sunk in and around the Columbia Bar and because of the danger and the numerous shipwrecks the mouth of the Columbia River acquired a reputation worldwide as the Graveyard of the Pacific. In fact, Commercial vessels can’t even cross over the bar without having a pilot climb aboard your vessel and steer it in for them. Now that’s what you call a river that demands your attention and respect. Another amazing fact about the Columbia River is that it has the greatest flow of any North American river draining into the Pacific and Its drainage basin is roughly the size of France and extends into seven U.S. states and a Canadian province. Even with better built boats and better technology available to keeping boaters more safe, there are still several boating accidents each year at the mouth of the Columbia River. Most people would be surprised that the Peter Iredale didn’t wreck along the Oregon coast during a huge storm that was ravaging and causing massive waves and thunderous rain but nothing more than just a change of the wind, a strong current and a lot of bad luck. The Peter Iredale was no match for the mighty Columbia River bar and there was nothing left for the crew to do but wait for a very hard landfall along the Oregon Coast. There isn’t much left of the old ship but it’s worth a visit if you’re visiting Fort Stevens State Park. [/caption] No, this isn’t Hawaii, the South Pacific or the Caribbean! 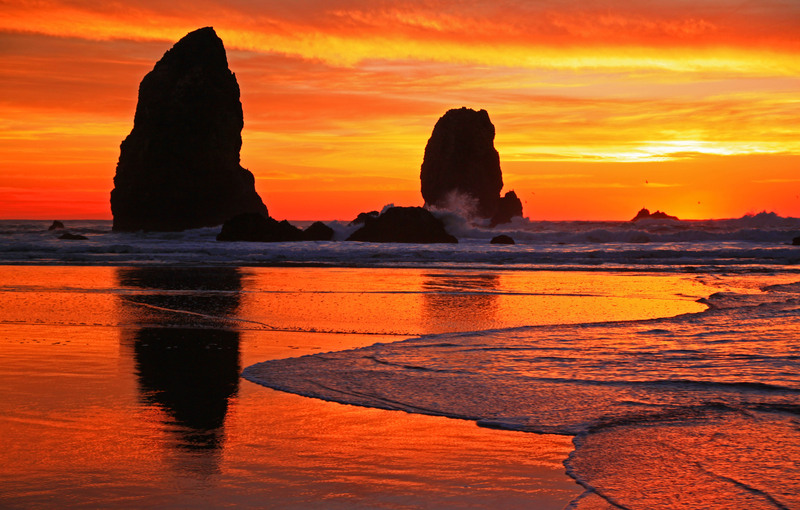 This is actually Cannon Beach, Oregon! There is one sure way to get great shots like this that begin to take on the likes of some tropical island area! Usually the summer months offer the perfect sun soaked days that allow you to trick people into thinking that the photo was taken somewhere else. Most of the vegetation along the rocky cliffs are almost identical to tropical vegetation and all you need to do is find the best shot that looks semi tropical. 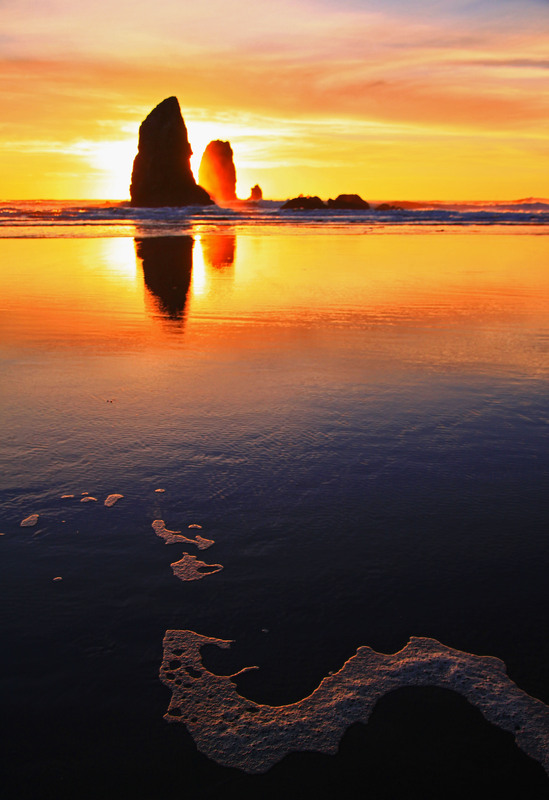 I actually took this shot at the southern most end of Cannon Beach. 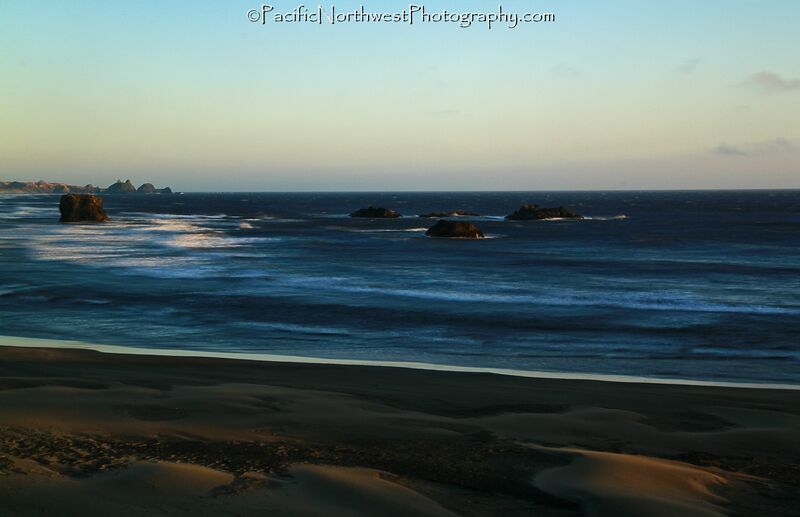 There is a trail that takes you high above the beach and is located between Cannon Beach and Ecola Beach! The views are amazing and the bird watching is awesome. 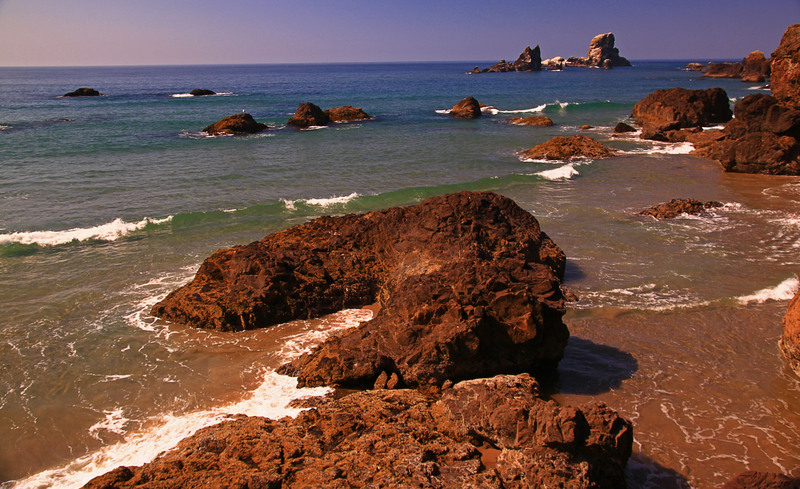 There is a private beach directly below that can only be reached when the tide is low and if you look closely you may see several seals swimming about near the rocks below.